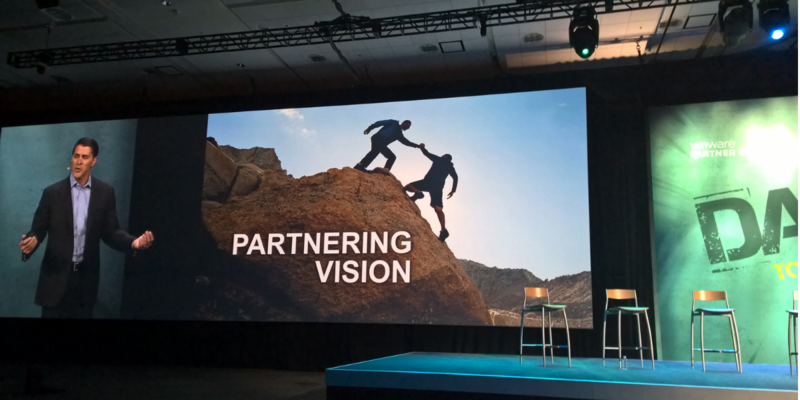 With VMware Partner Exchange winding down last week, this turned out to be one of those cycles where we actually have some big news to report (and a lot of it). On the surface, the news was all about the vSphere 6.0 announcement, but along with the new version comes a heap of under-the-hood changes and improvements, new features and partner announcements. There’s quite a bit to cover, so let me start with some of my personal highlights of the announcement itself. And those are just my personal favorites. So first, let me touch on vVols. VMware has been making noise about this for some time and with vSphere 6.0, vVols are finally here. Virtual Volumes allow you to virtualize the data plane between physical storage and VMs. VMware has been stressing that carving storage and presenting LUNs to vSphere for VM's (the bottom up approach) is the opposite of what should be happening, "The infrastructure needs to follow the virtual machines" Gaetan Castelein, Senior Director of product management and marketing for SDS at VMware is quoted saying. Virtual Volumes are the enabler for this new top-down approach. Think of how VSAN leverages policy-based management, now apply that to traditional storage. This is big. vMotion was the original killer feature for vSphere and even today when a customer who isn't totally familiar with virtualization sees it in action, it never fails to impress. Those of us that know and love vMotion, know its limitations and almost all of them are getting addressed in one big update. First, support for cross-vSwitch migrations means you no longer are limited to migrating within the same virtual switch. To me, this would probably be the star of the show if they didn't also announce... wait for it... cross-vCenter vMotion. I love geeking out on technology, but tell a room of strangers about how excited you are about "cross-Center vMotion" and you've truly outed yourself. Anyway, not only can you move a VM to an entirely different vCenter, you can do it "long distance". There has always been a latency threshold of 10ms for migrations. It is now 100ms. Need to move that VM from Miami to Seattle? Enjoy. Some equally big news was announced around High Availability. With all the other noise, it's easy to overlook one of the most important features of vSphere, HA. It never made sense to me that you couldn't disable HA per VM and simply re-register that VM elsewhere in case of a failure. This is now possible. HA also now supports Virtual Volumes (vVols), also introduced with vSphere 6.0. With vVols, there is no VMFS or VMDKs for that matter. I imagine some significant work had to be done to adapt HA to this scenario. One of the totally new features, VM Component Protection, is all about protecting against storage failures like "All paths down" or Permanent Data Loss". Now you can set specific responses to those dreaded scenarios. Lastly, people seem to forget that the maximum Cluster sizes are directly influenced by what can be supported by HA. Those maximums have risen from 32 Hosts to 64 and 8000 VMs per cluster. I've personally not built a cluster that large, but think: large VDI deployments.